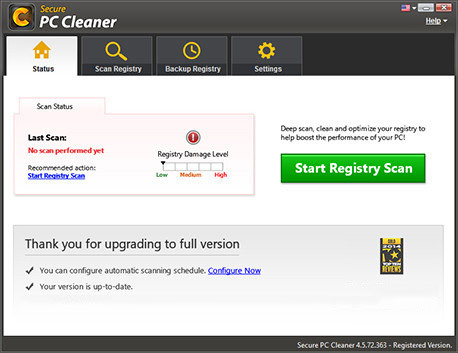 Secure PC Cleaner is the best registry cleaner and optimizer to improve your PC's performance by removing all registry errors. 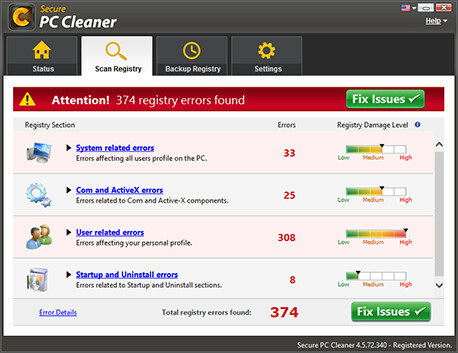 Secure PC Cleaner scans your PC registry and finds harmful entries, errors and problems that cause windows crashes and poor performance of your PC. It repairs and cleans the detected issues for a smoother system experience. 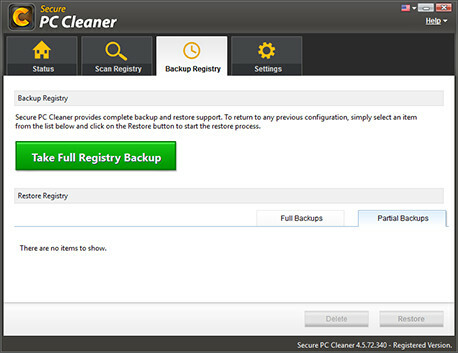 This tool’s registry cleaning and optimization is absolutely safe. It automatically backs up your registry before cleaning as a precaution and you can always revert back to previous system state. 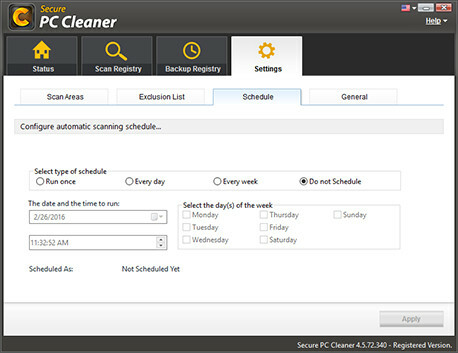 Secure PC Cleaner comes with a built in scheduler for launching registry scan automatically. No manual intervention needed, you can schedule weekly scans and keep your PC clean and error free. Secure PC Cleaner helps enhance your PC speed with ease. You can clean, repair and optimize window registry with a few simple clicks. © Jawego Partners LLC, 2019 All rights reserved.